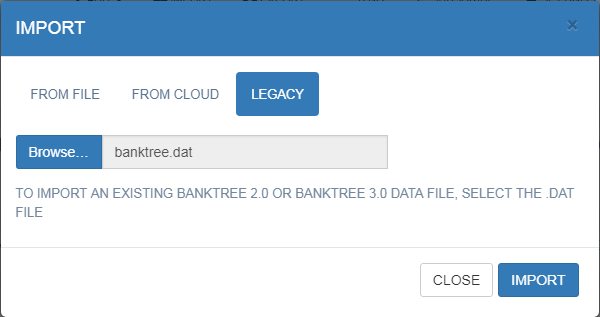 BankTree Online Personal Finance will allow you to bring your data files from the BankTree desktop application. Click on the Import icon on the top menu and the Import screen is shown. There a 2 ways you can import your data files. 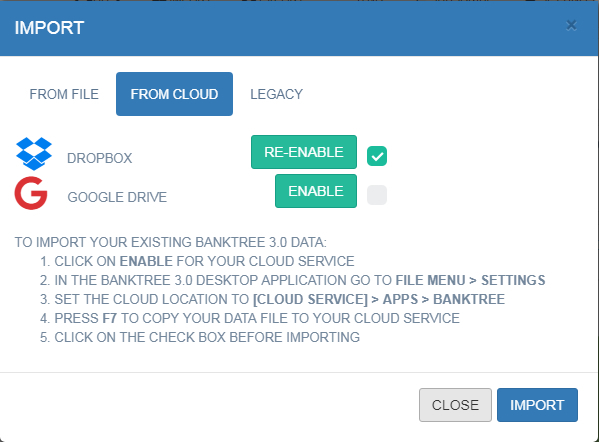 Assuming you have already setup the BankTree 3.0 desktop application to use either Dropbox or Google Drive, read this article HERE you only need the section titled "On the Desktop Application"
To import from Dropbox (same process applies for Google Drive), click on the ENABLE button. 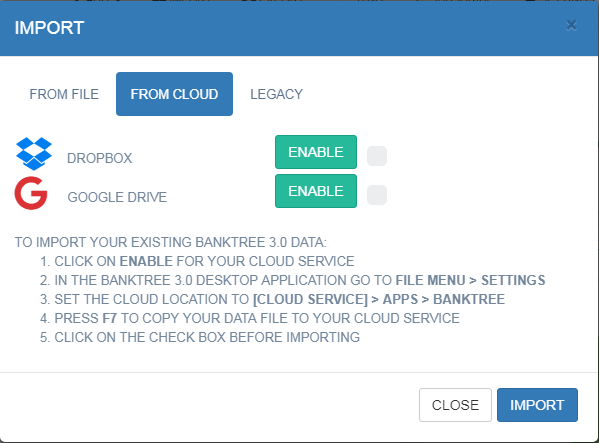 You will then be prompted to Login to your Dropbox account and allow the BankTree application permission to use your Dropbox, account. On confirmation the tick next to the ENABLE button will become enabled. Now press the IMPORT button to import your data file. On completion your browser will refresh showing your account details. Click the BROWSE button to select your data file (follow the guidance previously mentioned regarding where to obtain your data file).